Even today the resounding success of tunes like “Something About You” or “Running In The Family” – pieces that in some cases continue to be played on many dance floors – is remembered. They are among the songs that formed part of the soundtrack to the lives of millions of people who were young in the eighties and nineties. They are the hits released by a British pop-funk-soul band called Level 42. Founded in 1979, the group led by the bass virtuoso Mark King put out their first hit, “Lessons In Love”, in 1981. From then until the mid-nineties, Level 42 became one of the emblematic quality pop groups with their “sophisti-pop” or dance rock, as some called it. For a good many years they topped the charts with a style drawing on the best traditions of pop and black music. 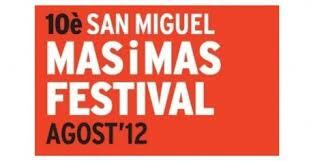 It is a formula that has lasted down to our time, as everyone attending the most glamorous possible opening of the San Miguel Mas i Mas Festival’12 will be able to find out for themselves. With the idea of providing first class cultural activity during the quietest month in the city, the Mas i Mas group, with the help of San Miguel beer, launched a festival in 2003 that has become a classic nowadays on Barcelona’s summer nightlife scene. Mercury Wheels in partnership with Live Nation Spa, presented in concert to Bon Iver. Probably the most desired artist at this time. Behing Bon Iver lies the incredible talent of Justin Vernon, Mike Noyce and Sean Carey. His first album, self-released in 2007, “For Emma Forever Ago” has been considered one of the best American indie-folk. With his second album “Bon Iver, Bon Iver” has positioned itself at the top of the charts in 2011 and won two Grammy awards this 2012. El Palau Sant Jordi será escenario del enfrentamiento número 26º entre España y Estados Unidos, posiblemente las dos mejores selecciones de la actualidad. Los aficionados al baloncesto no pueden olvidar aquella final España-Estados Unidos de los Juegos Olímpicos de Pekín de 2008, considerado uno de los mejores partidos de la historia de este deporte por la emoción y la calidad de juego. No puedes perder la oportunidad de disfrutar en directo del partido más esperado.